Our spacious Main Lounge has a maximum capacity of 100, and can be hired for private events. Our smaller Meeting Room can also be hired for private functions, catering for up to 30 people. Our Drinks Licence allows for functions to finish as late as Midnight. If you are looking for a special venue for a corporate event or private celebration. We are the ideal venue to host all types of parties and celebrations including Anniversaries, Birthdays, Christenings and Christmas Parties. Our main lounge is available for private hire from October through to March from 6pm onwards. During the summer months private hire is not available but we can still accommodate lunch and celebration gatherings in the main lounge. Please contact us for details and date availability. 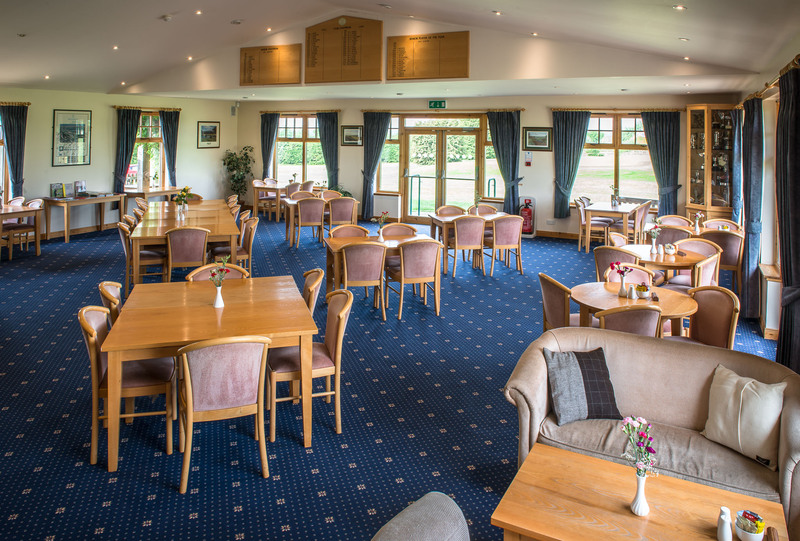 Our Restaurant which has a fully equipped bar enjoys stunning views over the surrounding countryside and can seat up to 90 people comfortably. There is also an excellent range of menus which can be tailored to your individual requirements – be that a formal seated meal or a more informal buffet.